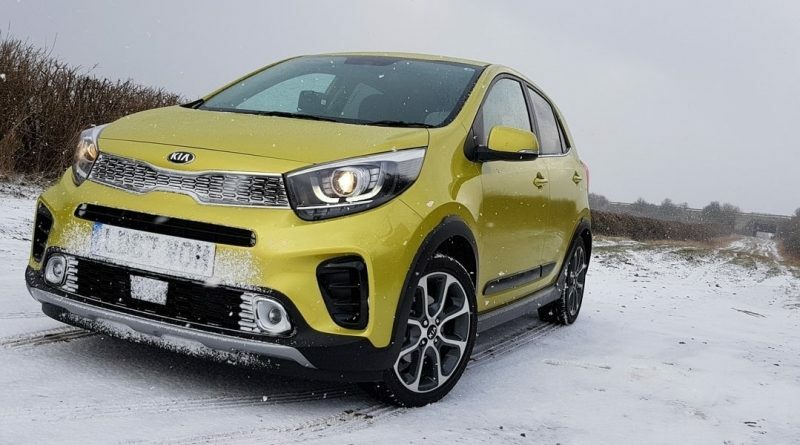 You could treat the Kia Picanto as something of a budget city car, the entry level ‘1’ model being something of a bare bones car that costs well under £10,000. Where’s the fun in that, though? Splash out and the Picanto can be turned into the smallest of luxury cars, with climate control, cruise control, satellite navigation, and plenty of other ‘big car’ features. Alternatively, there’s the GT-Line models, with their sporty styling, big alloy wheels and twin exhausts. Now there’s X-Line, a pseudo-SUV restyle for the diminutive motor. The changes are mostly cosmetic, with front and rear bumpers that include a silver skid plate at each end, black side sill mouldings, and wheel arch covers that make the Picanto look like it’s riding higher. It is actually riding a little higher, with the suspension being jacked up by 15mm. That’s not enough to start looking at the Darien Gap and wondering “what if…” but it is enough to clear a few extra kerbs, grass verges and stony tracks. Like so many of these road-focussed soft-roaders, there’s no addition of four wheel drive, and no special programmable traction control system, so outright ability off-road won’t be anything beyond the normal Picanto. A damp polo field would stretch it enough. There’s lime-green highlighting on the front grille, which is a little sudden on a grey model, but pretty subtle on this rather bold test car. The bright highlighting continues inside, where there are some splashes of white on the air vents and door handles, with a couple of lime-green flashes running down them. They don’t work very well, jarring with the otherwise reasonably sober dashboard, but the artificial leather seats with lime green stitching work very well. Those seats are comfortable, and there’s enough room for two burly men to drive along without rubbing elbows. There’s just about enough room behind for adults to sit comfortably for shorter journeys, and more than enough room for kids. Even the boot is a decent size, swallowing 255 litres of stuff, which expands to 1,010 litres with the rear seats folded away – that’s about the same as you’ll find in the larger, more expensive, Ford Fiesta. Kia has thrown the everything including the kitchen sink at the X-Line, loading it with equipment. Air conditioning, a seven-inch touchscreen infotainment system, DAB radio, smartphone mirroring with Apple CarPlay and Android Auto, and a reversing camera all come fitted as standard. There’s also automatic emergency braking, which helps the car achieve its four-star EuroNCAP crash safety rating. Potholed urban roads upset the Picanto a little, and it’s reasonably firmly suspended, but the slightly raised height softens things compared to the GT-Line models. 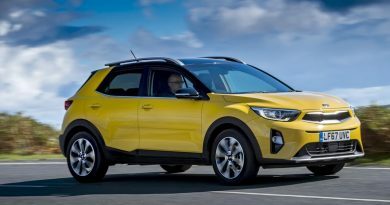 The changes haven’t affected the zesty behaviour of the little Kia, the car turning in sharply while feeling planted in corners. It’s actually quite enjoyable to drive across country, something that’s unusual in this sector. Being so small, and with great visibility, it’s a cinch to park too, with a zippy character that makes town driving easy. Performance is aided by the characterful 1.25-litre petrol engine. It’s not overburdened with power, offering just 83bhp, but that’s enough to power the Picanto to 62mph in 11.6 seconds. That sounds a little pedestrian, but the car feels more potent than the numbers suggest. The numbers also suggest 61.4mpg, but that’s more than a tad optimistic. Still, it’s not going to gulp at fuel too quickly, and with servicing just once a year (or 10,000 miles) and the backup of a seven-year warranty, the Picanto’s not going to cost a lot to run. Putting it all together, the X-Line is a pretty compelling choice. It’s arguably the best model in the Picanto range, assuming you can cope with those bits of green, offering everything the excellent Picanto does already, but with an extra dash of on-trend style. 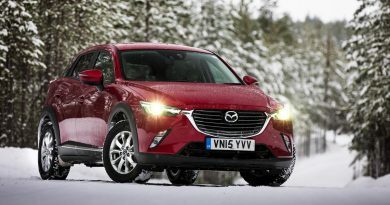 Only the asking price might put buyers off, but as most of these cars are purchased on monthly PCP contracts, the actual difference might be less than you think.